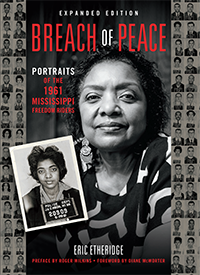 Joan Mullholland has shared another exquisite document from her extensive Civil Rights archive. 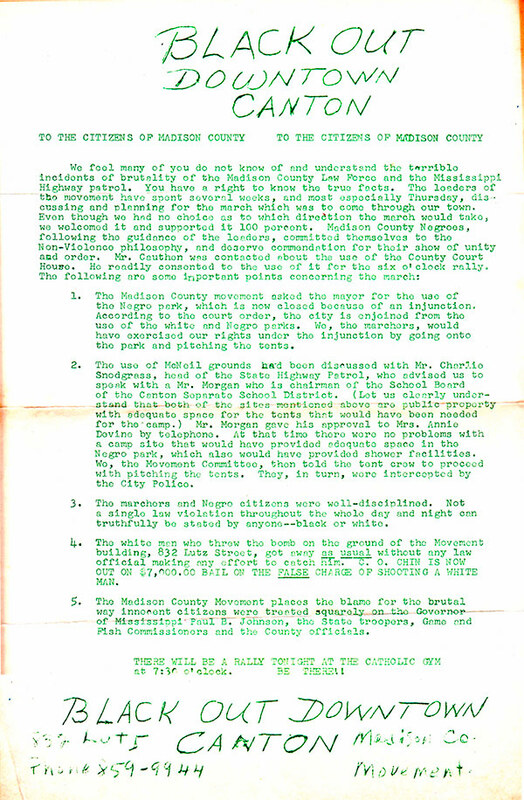 Two weeks ago, I posted her scan of what is perhaps the first Black Power flyer, which she had picked up on the last day of the Meredith March (aka, the March Against Fear) in June 1966 in Mississippi. What occasioned both that flyer and this new one — “Black Out Downtown Canton” — was a brutal tear-gas-and-baton police attack on the Meredith marchers during an evening rally on the grounds of a black public school in Canton, MS, where the marchers also intended to camp for the night. The aim of the document below is more to provide background details on local organizers’ preparations for the march’s passage through Canton, especially of their efforts to secure proper permission for use of the school grounds. We feel that many of you do not know of and understand the terrible incidents of brutality of the Madison County Law Force and the Mississippi Highway Patrol. You have a right to know the true facts. The leaders of the movement have spent several weeks . . . discussing and planning for the march which was to come through our town. Like the earlier flyer, this one is a mix of hand-written and typewritten elements (the green type is in the original).